The 7th Pakistan Festival was held at Vancouver Art Gallery on 8th July 2018. The Festival projected Pakistani music, fashion and culinary heritage. An art exhibition and a number of young artists’ performances were also part of the celebrations. Renowned Pakistani singer, Mr. Faakhir Mehmood. delighted the audience with his outstanding performance. Besides, artists from MIS Sanam Studios, Atlanta performed Balochi, Kashmiri, Pashto, Punjabi,and Sindhi dances adding colours to the whole event with their exotic and dazzling performances. Honourable Jinny Sims, Minister of Citizen’s Services, Honourable George Chow, Minister of State for Trade, Jobs and Technology of British Columbia and Honourable Andrew Wilkinson, leader of the Official Opposition in the BC Parliament, addressed the audience. Ms. Sims read the message of Honourable John Horgan, Premier of British Columbia, highlighting the importance of the event in creating understanding about Pakistani cultural heritage. The Consul General, in his welcoming remarks, said that “Canada and Pakistan have shared heritage. In 2017, Canada celebrated 150th years and Pakistan 70th years of their birthdays, however, the cultures of our two countries go back to thousand years. A strong and vibrant Canadians of Pakistani origin further cement ties between our two beautiful countries. In increasingly multicultural world, the values of these kinds of events cannot be underestimated, which in addition to projecting cultural heritage also offer a sense of belonging and creating cohesiveness among various groups, besides providing entertainment. Over the past four years, Pakistan’s linkages with Canada are increasing. Academic ties are also on the rise and the trade, particularly with British Columbia is growing, however, there is substantial room for improvement. These kinds of events to a greater extent lay the foundation for enhanced trade relations between our two countries”. 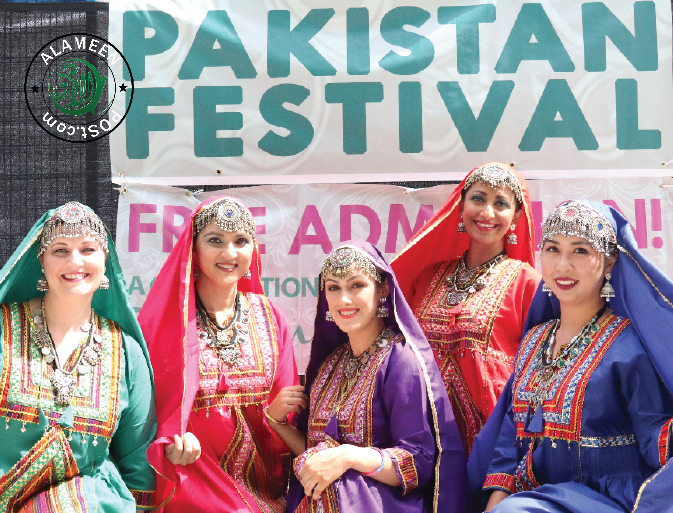 Pakistan Festival is regular annual feature highlighting Pakistani cultural heritage. This was the 7th Pakistan Festival in British Columbia and the 3rd in the City of Vancouver, jointly organized by the Pakistani Canadian Women Society (PCWS), Pakistani Canadian Cultural Association (PCCA) and Pakistani Youth Council (PYC) with the collaboration of the Consulate General. The Festival was attended by thousands of people from all communities.